Yes will team up with an all-star lineup of British prog-rock pioneers for a summer tour of North America. 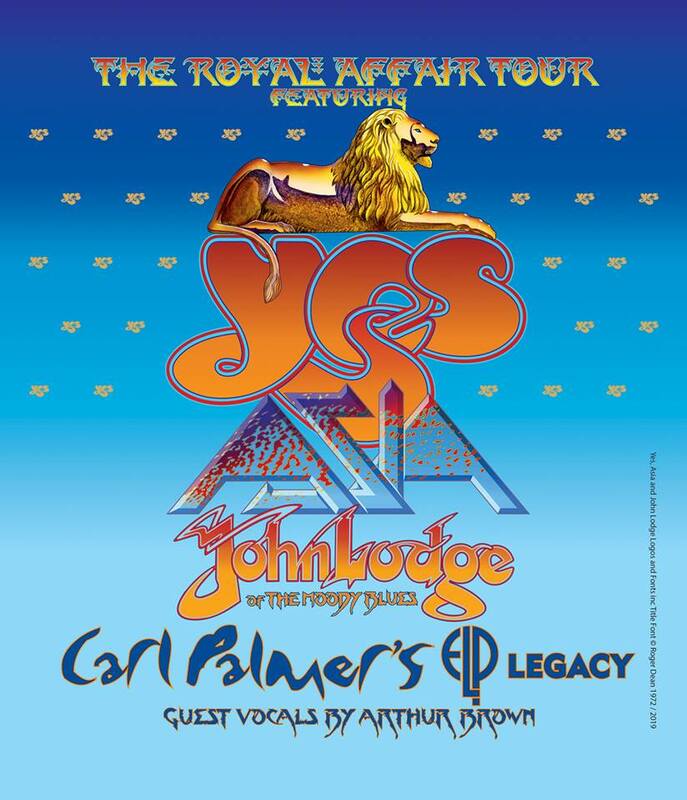 The Royal Affair trek will present the legendary band joined by Asia, John Lodge of The Moody Blues, and Carl Palmer's ELP Legacy with guest vocals by Arthur Brown for the 7-week series, which will begin in Bethlehem, PA on June 12 and see more shows added in the coming weeks. Fresh off their 50th anniversary tour and celebrations, Yes will deliver material from throughout their career while honoring the memory of late band members Chris Squire and Peter Banks. Asia will play their signature songs and pay tribute to their late founding member John Wetton, with a portion of their set to feature original guitarist Steve Howe in a special performance. Asia will also introduce its new line-up featuring guitarist/lead vocalist Ron "Bumblefoot" Thal and bassist Billy Sherwood. John Lodge's set will encompass his classic hits by Rock & Roll Hall Of Fame inductees The Moody Blues and pay tribute to the band's recently departed member Ray Thomas. 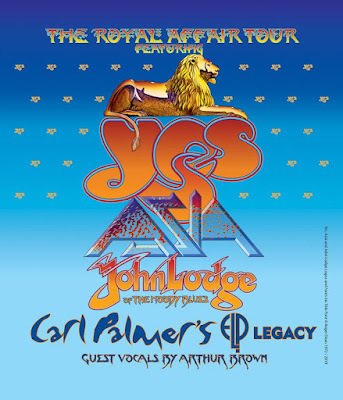 Carl Palmer will honor the memory of his fellow Emerson, Lake And Palmer members Keith Emerson and Greg Lake, with vocals by Arthur Brown. As part of the evening's British theme, there will be Alan White of Yes' tribute to John Lennon; White was the drummer on Lennon's solo material, including the recording of "Imagine." "Yes is delighted to headline this celebration of British music,” says Howe, “which has been so warmly received in America over the past five decades." "I'm looking forward to joining a number of classic British talents that have delighted so many fans over the past half century," raves White, while Downes adds, “This is a unique celebration of the British contribution to classic rock over many decades. It will be inspirational to be a part of… and I know it is what John Wetton would have wanted." Tickets for most shows on “The Royal Affair Tour” will go on sale Friday, April 5; for full details, visit yesworld.com.